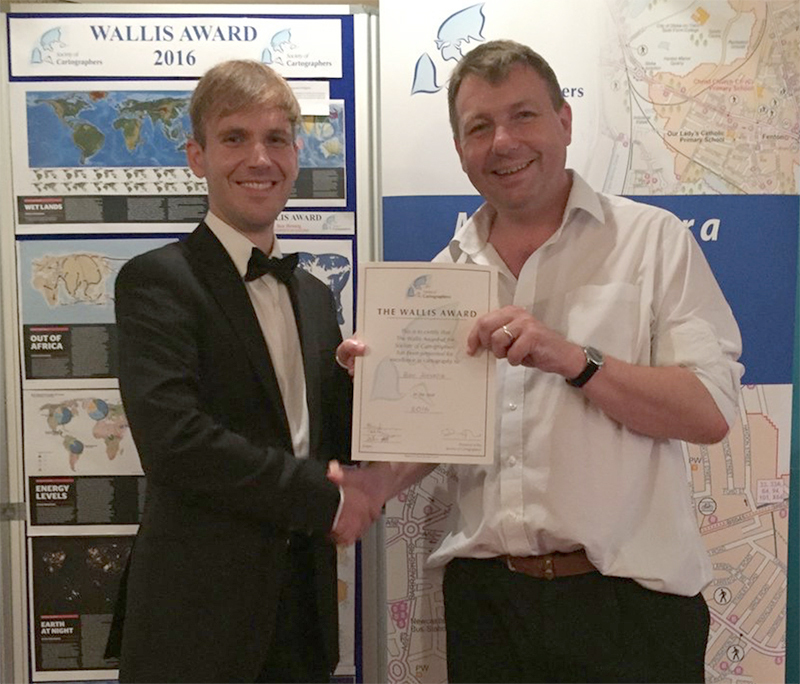 Entries are invited from members of the Society of Cartographers for the Wallis Award for cartographic work completed during the current membership year. Entries should be accompanied by either a descriptive display panel or a written commentary, giving background details and technical information relating to the method of production. 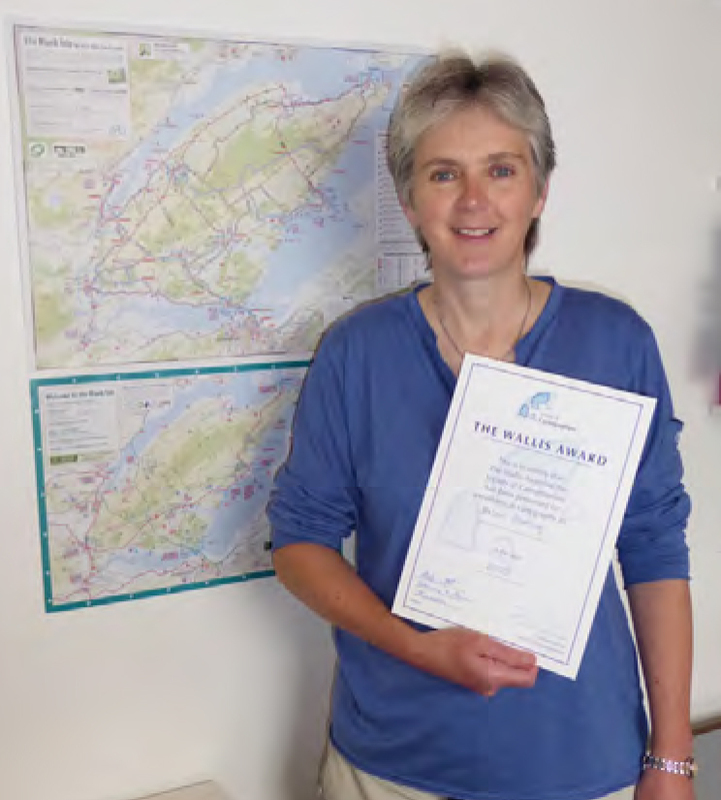 Download Wallis Award 2019 Entry Form. 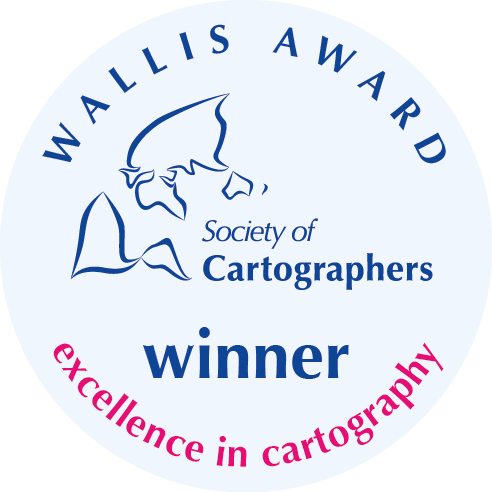 The basis for the award is “excellence in cartography”. 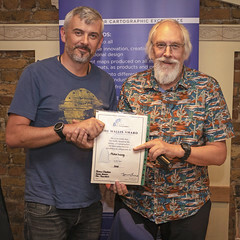 The current award, courtesy of Honorary Member Mr David Wallis, provides a sum of £100 plus a certificate for the successful entrant. 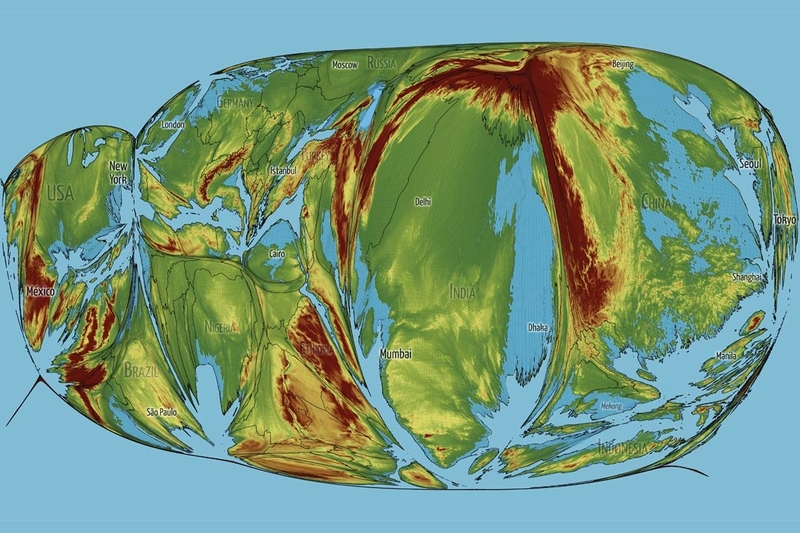 A 1-year free online subscription to Cartographica will also be awarded to the winning entry. 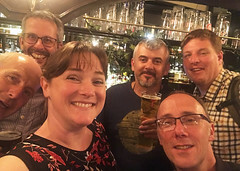 Submitted entries must be comprised of cartographic design or production undertaken in full or as majority effort by a member of the Society of Cartographers. 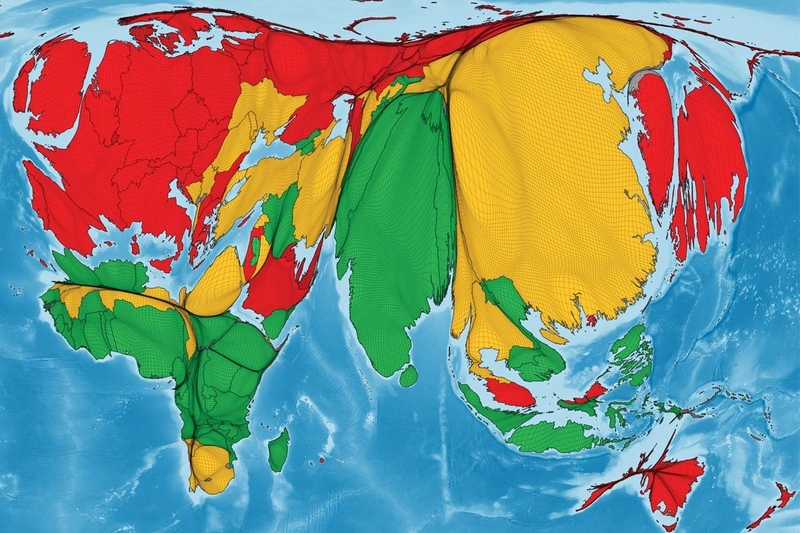 Entries can be produced by either digital or traditional technology, in monochrome or multi-colour and may consist of a single map, a series of maps for a publication or an atlas. The criteria for judging will consider such factors as overall clarity; balanced layout and design; aesthetic appearance; content fit for purpose; and the appropriate selection and use of colours, type and symbology. Notification and details (particularily size and format) of the entries should be sent to the Hon. Secretary, together with a note of your membership number, as soon as possible and by the end of August at latest. The entry itself should either be forwarded to the Hon. Secretary or submitted prior to the Annual Summer School. Judging will take place during the week of the Annual Summer School where all entries will be exhibited. 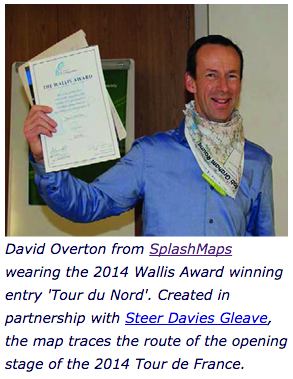 David Overton from SplashMaps wearing the 2014 Wallis Award winning entry ‘Le Tour du Nord’. The cartography was created in partnership with Steer Davies Gleave, the map traces the route of the 2014 Tour de France ‘Grand Depart’.